In previous lessons, you’ve learned how to do reported speech and reported questions/commands – now here are some verbs you can use to do the reporting! 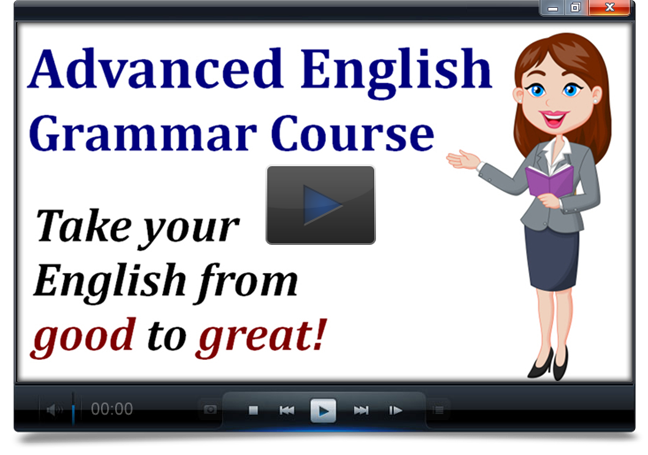 Pay special attention to the grammatical structure of how each one is used, and make sure to avoid the common errors. Bob said he was happy. Bob said that he was happy. Avoid this common error: Bob said me that he was happy. Jane told me she had worked late. Jane told me that she had worked late. My dad told me not to play with fire. They asked the teacher if there was any homework. They asked the teacher whether there was any homework. He asked me what time it was. She asked us how to get to the train station. They asked the police officer why the road was closed. She asked me to close the door. She asked me not to leave the door open. I recommend staying in this hotel. I recommend that you stay in this hotel. He suggested taking an early train. He suggested that I take an early train. Avoid this common error: He suggested me to take an early train. They warned us about the high prices in San Francisco. They warned us not to move to San Francisco. We use the verb “advise” for giving advice. “Advise” is pronounced with a Z sound, and “advice” is pronouned with an S sound. She advised me to start the assignment early. She advised me not to wait until the last minute. We usually use the word “encourage” for suggesting positive things. My parents encouraged me to take swimming lessons. If you “admit” something, it means you acknowledge a mistake or an unpleasant fact. He admitted that he’d stolen the money. The word “argue” can mean to try to persuade other people that your opinion is correct – as in the first example – or it can mean to have an angry verbal conflict – as in the second example. The lawyer argued that his client didn’t know he was breaking the law. My parents are arguing about where to spend our family vacation. The boss agreed that we should invest more in employee training. Avoid this common error: I’m agree. The correct sentence is “I agree” (more common) or “I’m in agreement” (more formal). We use the verb “claim” to describe things we state are true… but other people might doubt that we are telling the truth. She claimed that she’d locked the door. She claimed she’d locked the door. The verb “complain” means to say something negative because you are annoyed/disappointed about it. We complained that the hotel room was too hot. We complained about the temperature in the hotel room. If you “deny” something, it means you say it is NOT true. He denied that he was responsible. The verb “insist” means to strongly say something is true, or strongly say you will do something, despite other people trying to contradict you. I insisted that I was innocent. She insisted on paying for my drink. The verb “swear” means to say something with extremely strong certainty. He swore that he’d left his wallet on the table. He swore to get revenge. The verb “threaten” means to say you will do something bad to another person. The manager threatened to fire me. The receptionist explained that the doctor was out to lunch. Can you explain this math problem to me? He explained how he’d built his own house. The politician stated that he was in favor of immigration. When I asked her about the project, she replied that she didn’t know anything. The verb “mention” means to say something quickly, or to say something that is not so important to the main topic. He mentioned that he’d put gas in the car. The teacher announced that everyone had passed the test. The officer commanded the soldier to clean the room. My sister demanded that I give her an answer. My sister demanded an answer. The verb “forbid” means to prohibit someone from doing something. We forbade our kids to use the computer without supervision. The verb “boast” means to arrogantly say good things about yourself or your accomplishments. He boasted that he always got the best grades in the class. The verb “propose” can be used for making suggestions. It is a little more formal. She proposed that we take a ten-minute break. When we “reveal” something, we say something that was previously a secret, or information that is sensitive or not very well-known. In the interview, he revealed that he struggled with self-esteem. If you “guarantee” that something is the case, it means you promise that it is true. We guarantee that our products are made from high-quality materials. You promised that you’d help me. You promised you’d help me. You promised to help me. I’m begging you to reconsider. I’m begging you for another chance. She reminded me to go to the bank. She reminded me that the bank is closed on Sundays.